PUBG Corp has officially released Update 12 for PlayerUnknown's Battlegrounds onto the game;'s live servers, delivering map selection options, bug fixes, adjustments to Miramar and more. Map selection has been a frequent request from PUBG's playerbase, mostly due to the vast differences that each map provides and the long game time required for each round of the game. Nobody wants to spend 30+ minutes on a map that they dislike, making map selection an excellent option for player retention. This feature will only become more useful as more maps are added to PlayerUnknown's Battlegrounds. The image below showcases PUBG's upcoming map selection UI, which may change slightly over time. Here players can select specific maps or deselect undesirable maps, with the game randomly selecting chosen maps when more than one map is ticked. In addition to map selection, a new DMR called the SLR has been added to the game as world loot, offering more stopping power than the SKS but more recoil, making it more difficult to use. 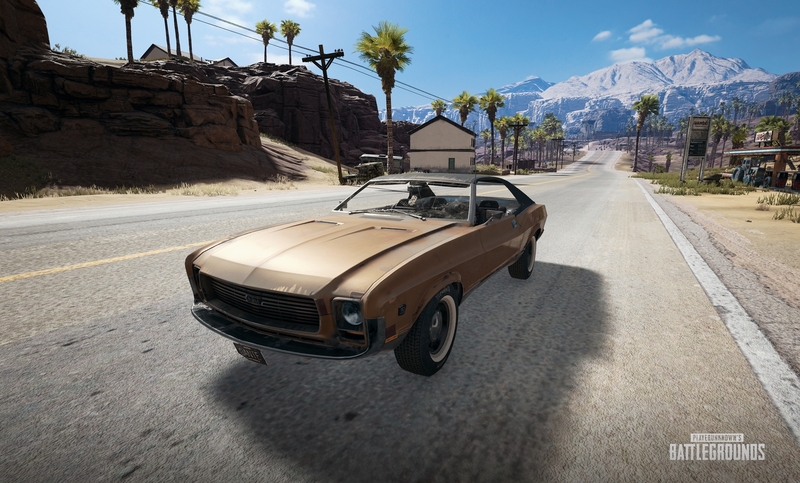 A new vehicle called the Mirado has also been added to PUBG, an American-style muscle car which will only be available in Miramar. Alongside this new vehicle, several new attachments are coming to PUBG a wide range of PUBG's weapons, from a selection of weapon grips for increased recoil stabilisation, a new scope with an x3 magnification and a new x6 scope with a variable 3x-6x zoom. One of the most extensive changes with this update will be a wide range of weapon rebalances, hoping to reduce the number of players who use assault rifles almost exclusively. Most Assault Rifles now deliver reduced damage while all LMG and pistols have received a damage boost. Alongside these weapons changes, player movement is now impacted by the use of assault rifles (ARs), LMGs, and shotguns, lowering running (normal) and sprinting speeds. Below is a list of improvements that have been made to PUBG's Miramar map. - We’ve added more objects like trees and rocks throughout the map to provide some additional options for cover in wide-open spaces. You can join the discussion on PUBG's PC update 12 on the OC3D Forums. As someone who has no interest in multiplayer gaming but is sick & tired of hearing about this game, have we reached peak PUBG yet? Those damage changes are useless without seeing damage drop-off and such. Did they provide that information Mark? Actually I keep reading about PUBG more than Fortnight. Only article i have seen on Fortnight is its profits in a short space of time. Agreed and no, they didn't provide that info. I like that they're bringing in speed changes depending on your weapon. This should make holstering your weapon entirely more impactful.